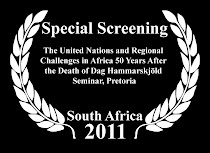 TRI-CONTINENTAL HUMAN RIGHTS FILM FESTIVAL 9-28 SEPT 2011, JOHANNESBURG/SOWETO. PRETORIA, CAPE TOWN. The much anticipated TRI CONTINENTAL FILM FESTIVAL is coming to select Ster-Kinekor and Cinema Nouveau theatres this September! The Tri Continental Film Festival (TCFF) is South Africa’s only dedicated human rights film event and consists of films that promote democratisation, deepens understanding, and affords those marginalised a substantive voice, proving to be more vital than ever in our rapidly changing world. TCFF has played a significant role in creating a sustainable and continually growing audience for social justice cinema over the past nine years, through film selection that is nuanced, relevant, informative and well-balanced, and promise to continue this tradition in 2011, with a program that reflects global currents of change and action. 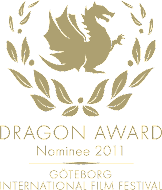 The selection of films presented this year is the result of rigorous curation of over 500 entries. These works speak directly to the pressing concerns of our world and the power of documentary and fiction to relay these concerns in a compelling and powerful manner. TCFF is also pleased to present two retrospectives; the outstanding works of Peter Wintonick and a finely crafted selection from documentary icon Werner Herzog is presented in conjunction with The Goethe-Institute Johannesburg. “We are proud to present a crop of excellent films which speak directly to this issue and will continue to do so in the coming years so we can play our own small part in building a movement to halt the forward march towards the end of humanity as we know it,” says Rehad Desai, the Festival Director. Four war-veterans, from different sides, step onto a boat at the mouth of the Kwando river deep within the African interior. They are on a journey back to past battlefields, the sites where they as youngsters, tried to kill each other during apartheid South Africa¹s interventions in Namibia and Angola (1975-1992). 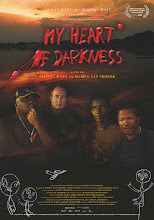 South African writer / director Marius van Niekerk’s My Heart of Darkness will have its African premiere at the upcoming TriContinental Film Festival. The film was co-directed and produced by Staffan Julén. Please spread the festival date amongst your friends, especially your war veteran friends, family & therapists and come and meet us at the Tri-Continental Human Rights Film Festival 9th and 28th of September 2011 in Johannesburg, Cape Town, and Pretoria, South Africa for our African premier. Book your seats now. During the festival special venues are planned addressing veterans issues and post apartheid war legacy. Your presence and support are vital to us spreading this message of reconciliation. Looking forward to see you there.